Nothing says summer like hitting the beach and getting some sun and water. And what better way to get to the beach this summer than with a cruise? With a cruise, not only can you travel in style to some of the most beautiful beaches in the world, but you can also sample several different places while having your room, board, and entertainment taken care of on the ship. The best news is that the cost of a cruise can be considerably cheaper than the cost of airfare and hotel in a Caribbean resort. Meanwhile, cruises are much less of a hassle to book than having to search and put together a trip on your own. That said, there’s no doubt that the summer is one of the more expensive times to set sail. With kids out of school, demand from families leads to higher prices. The good news is there are still deals out there — including many cruises under $300 per person. Below, we’ve rounded up a sampling of the cheapest summer cruises for 2019. But before listings those cruises, here are some pointers on finding cheap trips of your own during this time of year. As you’ll see below, the cheapest summer cruises are in August, and more specifically, late August. In general, the closer you can sail to September, the less you’ll pay for your cruise. And if you can wait until early September to take your summer cruise, you’ll get the best of both worlds — the cheapest prices while still having warm weather and water nearly everywhere in North America. Why are cruises so much cheaper later in August? The late season sees a drop-off in demand for family vacations as many people have already done their travel for the season and are looking at the start of the back-to-school season. You’ll notice that cruises longer than five days aren’t mentioned in our list below. Don’t think this means there aren’t deals available on longer trips. In fact, just like with shorter cruises there are some great deals — especially later in the summer season. However, if you want to pay the absolutely lowest amount for a cruise, then it makes sense to stick with shorter trips. Sailings of 3-5 days can be found for less than $300, with even more options for under $500 per person. Longer trips, which mean more nights, more food, and more entertainment, are obviously more expensive on a total basis. There are summer cruise deals all around the country, as you’ll see below. But if you are closest to Florida, you’ll have an advantage of being able to sail from several different ports including Port Canaveral, Port Everglades, and Miami. In a different part of the country? Most people have a port within a few hours drive, if not closer. 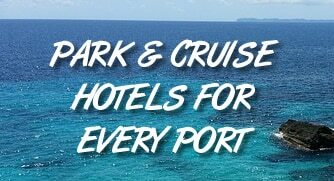 However, if you are able to travel to other ports for better deals, then you stand the best chance of getting a cheap summer cruise. Prices listed are for one person in an interior cabin. Keep in mind that prices will vary and may not be the same as what’s listed below. As a rule of thumb, if you can find a trip for under $100 per night during the summer, then you’ve likely found a good deal. This trip costs just $72 per night if you take a late August departure. Sailing from Long Beach, the trip takes you to Mexico on a four-night journey aboard the Carnival Imagination. There are other dates available earlier in the summer that still come in under $100 per night, but this is the cheapest date we found. As we mentioned, sailing in late summer is key to finding low fares. Sailing from Miami is also helpful because with so many ships sailing from there, it’s easier to find deals. This trip leaves in the late summer from Miami and costs only $259 for four nights. That’s dirt-cheap. It leaves aboard the Carnival Victory with stops in Key West and then Cozumel before returning home. If you’re looking for one last hurrah before the fall, this is among your cheapest options. How abundant are the deals from Miami in August? Just like above, this trip departs the port and heads to Key West and Cozumel. The only difference is that it’s a little bit more expensive (still just $284), leaves a few days earlier and is aboard the Carnival Sensation. The good news is that if this trip doesn’t fit your schedule, between sailings on the Sensation and the Victory (see above) there are a number of options. Not every cheap cruise is on Carnival, but they do dominate our list. Still, other cruise lines offer deals as well. This three-night trip aboard Royal Caribbean’s Navigator of the Seas takes you from Miami to Royal Caribbean’s private island — CocoCay — and then Nassau before returning home. It’s short and simple but also pretty inexpensive if you’re looking for a quick getaway before heading back to school or work. Jacksonville doesn’t get near the headlines for cruises as ports farther south, but you can still find deals. This trip departs August 22 aboard the Carnival Ecstasy and costs less than $300 for a four-night cruise. It features two stops in the Bahamas — Freeport and Nassau — before returning home. One nice thing is the it leaves on a Thursday and arrives back in port on Monday morning. Sailing over the weekend, you don’t have to take as much time off of work to accommodate your schedule. Mobile didn’t even have a cruise ship operating from the port a few years ago, and now it’s a great place to find deals. This trip is five nights aboard the Carnival Fantasy with stops in Costa Maya and Cozumel. At just $309 for five nights, it comes out to just $62 per night — an extremely cheap price for sailing during the summer. So far, the bulk of the cruises we have covered have all been three and four-night trips. This cruise is a five-night departure from New Orleans for just $309 per night. You’ll have stops in Cozumel and Progreso, Mexico before heading back to the New Orleans. If you can’t sail on August 26, the trip runs regularly throughout the summer, although you should expect to pay a little more for taking your cruise during the height of the summer season. You don’t have to sail from Florida to find cheap summer cruises. This trip aboard Royal Caribbean’s Enchantment of the Seas leaves in mid-August and costs less than $350 per person. For that price you set sail for four nights, headed to Cozumel. On each side of the port day you’ll have a day at sea to hang out by the pool and enjoy the warm weather. If you can’t make this trip, there are many more throughout the season, but just know they will be more expensive. Sailing from New Orleans is incredibly popular as the city offers a lot to see and do before or after your cruise. And while it will be hot, we think it sounds like fun to come and hang out in New Orleans and then hop on this cruise on August 8. It sails for four nights, with a stop in Cozumel sandwiched between two days at sea. Best of all, the price is only $359 in early August. Compared with the major ports like Miami and Port Canaveral, Tampa doesn’t get the notoriety. However, if you want a port with a number of options between cruise lines and itineraries without the large hustle and bustle of busier ports, then Tampa is ideal. We found this cruise in July for $424 for four nights. It sails to Cozumel on a quick getaway and then back home to Tampa aboard the Carnival Paradise. It shouldn’t be a surprise that classic one-week cruises don’t make many appearances on our list. That’s because the shorter the cruise, typically the lower the price. Still, we found this deal for a departure the last day of August. Set sail from Miami aboard the Carnival Conquest for just $434. During the 7-night trip, you’ll head to Grand Turk, San Juan, St. Thomas, and the Dominican Republic — all for less than $65 a night per person. The final cruise on our cheap summer cruise list is a 7-night trip aboard the MSC Seaside — one of the newest ships in the world. This trip departs Miami the last day of August, headed to San Juan, the U.S. Virgin Islands, the Antilles, and the Bahamas before returning home. At just $509 it’s among the cheapest week-long cruises that you’ll find. To find more cruise deals, you can search Orbitz here. So you want to cruise with college students? We’d look for short trips on the major cruise lines (Carnival, Royal Caribbean, and Norwegian). June and July should be good months for more college students to sail.